Operating across the UK, Environet is a leading Japanese knotweed specialist who can help with the removal of this damaging, invasive weed. 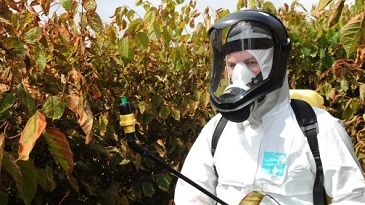 Our skilled team can assist you with the eradication and treatment of Japanese knotweed and other non-native invasive species on commercial and residential property. Prevent costly damage to your property and unpleasant legal battles by calling the Japanese knotweed specialists at Environet as soon as you detect Japanese knotweed on your premises. Since 1996, Environet has been safely and effectively controlling, treating and eradicating invasive weeds such as Japanese knotweed. With over twenty years of experience, our highly-trained team operate across the UK to manage and remove Japanese knotweed from commercial and residential property and land. We work swiftly and efficiently to tackle the problem and to prevent any damage from being caused by the plants in the future. Furthermore, all our work is offered with a 10 year insurance backed guarantee underwritten by an ‘A’ rated syndicate at Lloyds for your complete peace of mind. If you believe that you have Japanese knotweed on your land, then you need to act fast to prevent damage. Call our team on 01932 868 700 for safe and effective Japanese knotweed identification, removal and treatment. If you suspect a plant is Japanese knotweed, then it is essential to act quickly to identify the weed. While Japanese knotweed is not poisonous, it has the potential to cause significant damage to homes and costly delays on construction projects. What does Japanese knotweed look like? Once you know what you are looking for with Japanese knotweed, it is usually easy to detect. However, if you’ve never had experience with the invasive species, then it can be tricky to identify as it can take on different characteristics throughout the year. • Brown, bamboo like brittle canes in the winter. If you’re not sure if you have Japanese knotweed on your property, Japanese knotweed specialists at Environet can provide free, no-obligation Japanese knotweed identification. Start with the free Japanese knotweed identification guide and identification video. Then, if you are still not sure, email photographs of the suspect plant to our Japanese knotweed specialists at expert@environetuk.com. Our team are happy to offer free advice and identification for you. Japanese knotweed is an incredibly invasive and powerful species that can cause damage to your building, underground services and driveways. The weed can quickly out-compete any of the native vegetation and takes advantage of weaknesses in walls, foundations and underground services. If left untreated, Japanese knotweed can develop an advanced root network that infiltrates the structure of buildings and can spread to adjoining properties. Japanese knotweed can be so damaging that many financial institutions will not approve mortgages for properties where there is a known history of knotweed. If the provider does offer a mortgage, it will be on the basis that the property has an effective Japanese knotweed treatment plan in place with a 10-year insurance backed guarantee from Japanese knotweed specialists such as Environet. If you detect Japanese knotweed on your premises, call Environet, the Japanese knotweed specialists to come and treat and eradicate the weed. Tackling it yourself is not recommended as this can lead to the spread of the weed. Without treatment, Japanese knotweed will continue to grow and spread. Furthermore, if the knotweed spreads into neighbouring gardens, then you may face legal action with a civil claim in private nuisance. 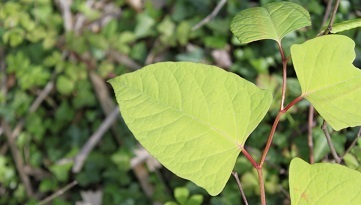 Read more about Japanese knotweed identification. As Japanese knotweed specialists, we begin the removal process by carefully assessing each site, its constraints and the client’s circumstances. From then on, we engineer tailored solutions. As each site has its own requirements, we work on a case by case basis. Some of our revolutionary techniques for Japanese knotweed removal include Eco-Innovative Xtract™ which is a soil excavation and screening technique to remove rhizome. This method does not use herbicides, is cheaper than traditional methods and is ideal for commercial Japanese knotweed removal. One of the most effective residential treatments ...that our Japanese knotweed specialists offer is DART™ which is a unique Japanese knotweed removal method. This is ideal where previous herbicide treatment has failed and access for full excavation is limited. Another method we offer is Resi-Dig-Out™. This is ideal for residential properties and uses a similar technique to Xtract™. 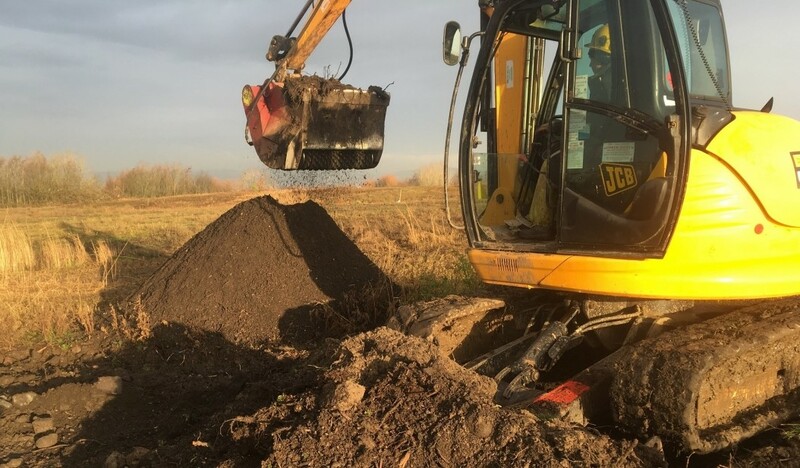 The Japanese knotweed is removed via physical excavation, the rhizome is separated, and removed from site, allowing the soil to be left on site. For the best results, it is wise to consult Japanese knotweed specialists who will advise on the approach that meets your requirements and timescales. The most effective way to remove Japanese knotweed is to select the right method for the conditions on site, with subsequent site monitoring to ensure the whole plant, roots and rhizome are eradicated for good. At Environet we offer a range of different options for Japanese knotweed removal; from herbicide application to site supervision if you want to provide your own machinery. Whatever your need, Environet offers a bespoke service fully tailored to your needs. Tackling Japanese knotweed with herbicide treatment is the least expensive option, taking several years of repeat treatment to effect control. Herbicides can be applied using foliar spray, often the best method, but also by stem injection and leaf wiping. Chemical is absorbed by the leaf, and other green parts of the plant, and is naturally translocated into the root and rhizome system. The aim is to get a fatal dose into ALL parts of the root and rhizome system so that all viable parts of the plant are killed. Rhizome dormancy or re-growth can be experienced if any part of the root or rhizome system receives insufficient herbicide to kill it. ...Dead canes can be cut down and cleared during the winter period but special care should be taken not to disturb the ground, as this can result in spread to other areas. 10 year insurance-backed guarantees can be provided for peace of mind and for lending purposes. It's not possible to verify with certainty that herbicide treatment has been 100% successful, even after many years of no re-growth. It should therefore be considered a "control" method. In areas where re-growth can't be accepted, a physical removal method should be considered. Discover if Japanese knotweed is present in your area by checking our Japanese knotweed heatmap. This can help homebuyers check areas for the potential risk and whether it might impact on a mortgage application. The map is regularly updated and already shows thousands of infestations of Japanese knotweed that have been identified in the UK. If you’re still not sure and want a more in-depth analysis of the risk factor in your area, Environet can help with a detailed site-specific survey, which will assess the risk of Japanese knotweed rhizome being present underground. 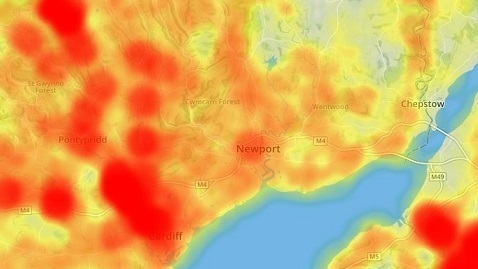 View the Japanese knotweed Heatmap. Excellent service from Environet, they covered every aspect of the works with diligence and professionalism and went the extra mile when needed. Environet's Japanese knotweed eradication has proved to be highly effective on our development sites. Thank you for your excellent service, fast response and professional consultancy support. We asked Environet to eradicate some Japanese knotweed found in the garden of our new home in Wimbledon in 2005. They undertook the work very professionally to the promised timescale and the knotweed has not yet returned. We wanted a quick solution but did not want to dig up our entire garden, so when we heard of Environet's in situ chemical treatment, we thought we had the answer - and time has proved us right.